Business Intelligence was a pretty hot topic during 2018, and it looks like this year the trend is not going to subside. First of all, let’s define what’s business intelligence and how it works in a nutshell. 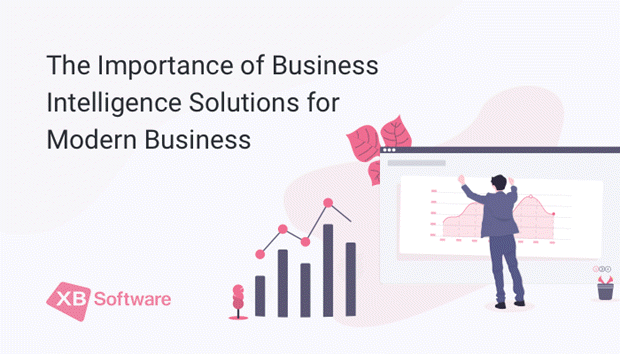 Business intelligence or BI is a software solution that consists of a set of tools intended for extracting the essential information from big data. As an example of BI, you can think of interactive operational reports, dashboards, geo-mapping, data analysis management tools of different kinds. One of the main fields of application of BI technologies is the effective measurement and analysis of KPIs and metrics across all levels of a business organization. With a BI dashboard designed in accordance with the specifics of your business, you can display multiple charts and reports on a single page. Such software solutions help to review and analyze the most important metrics in-a-click. BI software solutions can provide both summary and in-depth views of performance. Now, let’s take a closer look at how this technology works to make all of this possible. First of all, business intelligence is about the data. Therefore, the information infrastructure is the first layer of any BI system. Such precious info as orders, sales, client profiles, and performance indicators should be stored somewhere for further analysis. Data warehouses are precisely what’s needed for this purpose. They allow integrating info gathered from different departments that stored in multiple sources and provide access to a centralized repository. You, as a user, don’t have to worry about storage features. Instead, you can use a single query to view the information you need and get a big picture of your organization. The next question is what’s the better way of representing raw business data. Getting fast access to data is crucial, but you should also think of the mechanisms allowing to extract useful metrics and key figures from this data and make it as quickly as possible. One of the better solutions available today is the use of data visualization services for creating informative BI dashboards.